Mr & Mrs Blog: Ornaments Galore.......! Welcome to the start of The Christmas Holiday House Tour! This year I have decided to do it in sections, so for the start I am going to be showing you all the new ornaments we got! We usually only get one a year but.. we went a little crazy this year! Ha ha. Anyways, we also got a new nativity! We also get one of those every year so I am going to be showing that off also. Sure do hope you enjoy! Do you have any holiday traditions? Do you get ornaments every year? 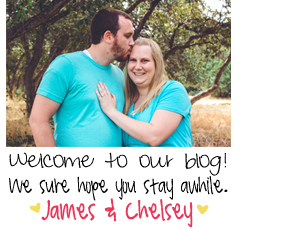 Leave a comment below and make sure to subscribe to the blog! James and I go every other year on who picks the nativity. Last year James got to choose and he picked out a puzzle that is of the pictures of Greg Olsens work. We started it last year but realized it was going to be a lot harder than we thought! So this year we pulled it out again and have been working on it all month and it is slowly coming together! It is almost finished!! Once it is all put together we are going to glue it and then have James grandpa make us a frame! It will then hang in our kitchen! Woo! Can't wait until it is finished. In fact.. after I post this I will get back to working on it. PS. I will also show you when it is all finished! It is going to be soo pretty. I was super excited for this years because Mary Engelbreit released a new book! It is the nativity story told as a children's pageant. It is the most adorable book EVER! You can get it here! Like I said this year we went crazy with ornaments.. but granted.. we do have four trees! But let's go ahead and get started with show and tell! Every year my grandmother sends James and I Christmas ornaments. This years were so cute! They look vintage and so neat on our tree! The one up above is mine! Isn't she darling?! Thanks Grandma! And here's James! He is also so cute. I love that they are matching and going together. My grandma has got some good taste! This year James got spoiled! He got three different ornaments because they were such a good deal and so cute. Come on look at firefighter mickey.. isn't he so darling?! Gotta love Hallmarks ornaments. Of course he also got a Big Bang Theory one because it is one of his favorite shows. We think everyone needs a little Sheldon Cooper on their tree right? And the last ornament he got was Rafiki from The Lion King! This was a Black Friday deal and one of the few things James actually bought. He is so fun! This year I went with a cute log snowman! He is so little and cute! Love it! For my Barbie tree I got a cowgirl barbie because.. well I live in Idaho so it is only fitting right? She's so cute and fun! Yee-haw! For our Star Wars tree we of course got Darth Vader! He even speaks! How fun is that? And lastly, for James BYU tree we went with a classic grilling Santa! He is a hoot and a half and fits James perfectly. And there you have it! Our ornaments and nativities! What did you all think?! I would love to see yours and hear all about your family traditions!